Bob is a graduate of Georgetown College and has been a licensed CPA in Ohio since 1977. He has been in public accounting for over 40 years. Over those years he has specialized in small business tax, financial planning, and accounting services. Bob has been a consultant to nonprofits, restaurants, manufacturers, auto dealerships, contractors, trucking and fulfillment businesses. 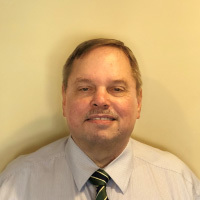 Bob has earned specializations including certifications in financial planning (CFP), as a fraud examiner (CFE) and in business valuations (ABV) with a Master’s in Business Administration (MBA) from Northern Kentucky University in 2005. Bob is trained in the tools necessary to manage your tax and financial needs. Certified Public Accountant – Accredited in Business Valuations – CPA-ABV, OH CPA.09998 Certified Financial Planner – CFP®, ACFE – Certified Fraud Examiner – CFE. Bob has presented a variety of tax issues to SCORE, the Small Business Development Corporation (SBDC) of Clermont County and the Ohio Society of CPAs.